Compatible with Philips Viva AirFryer (Classic with dials / model HD9220) and Philips Viva AirFryer (Digital / model HD9230). 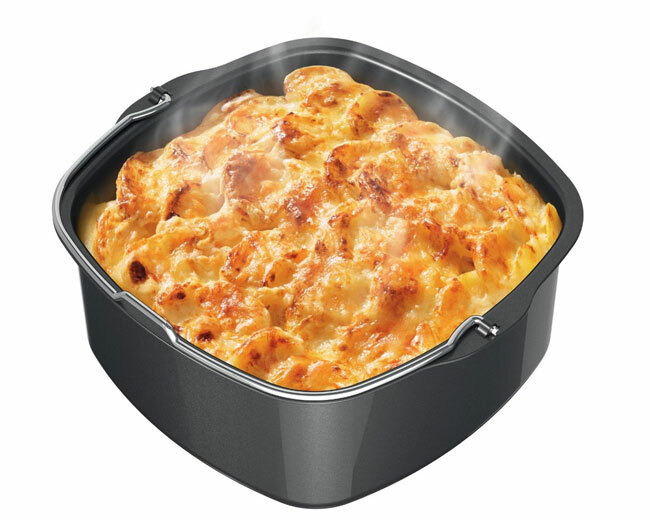 Notes: Users note that it can also be used in regular stove ovens. 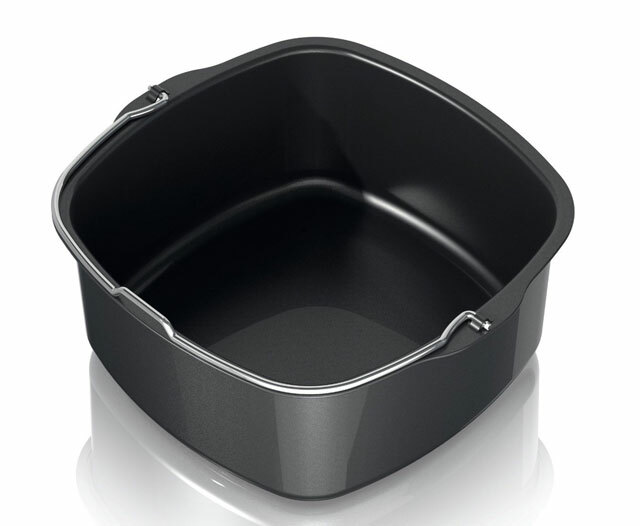 Can be used for baked casseroles, curries, cakes, etc. Some people report doing their morning omelettes in it. Can it fit 9228 model? Hi Elly, I asked Philips for you. They said that apparently HD9228 is a particular Malaysian model number. So, you should try asking Philips Malaysian support here ( https://www.philips.com.my/c-p/HD9228_01/viva-collection-airfryer-with-rapid-air-technology/support ) if they have any experience with the pan in Malaysian models. It sure looks like it would fit, but I don’t want to guess. Hope that helps!